The promo expires September 1 and there are limitations of Hailo boundaries: 427 to the West, Steeles to the North and Port Union Rd. to the East. 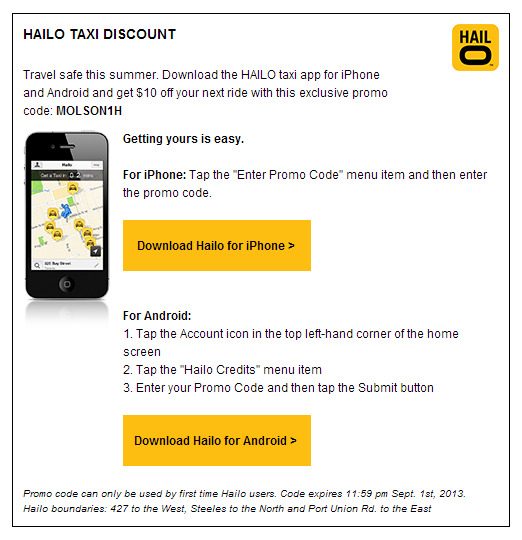 This discount appears to be part of a promotion with Molson, in which Hailo previously collaborated with last holiday season to give away $1 million worth of rides. Let us know if you’re going to jump on this!